With the Pubble Facebook integration you will be able connect your business Facebook Pages with Pubble. Any conversations started on your Facebook Page will be synced in Pubble and you can reply to Facebook conversations from the Pubble dashboard. Note: we will not post messages on your public Facebook Pages. Our Slack integration will send notifications of any new questions asked on the Pubble Messenger widget to a specified channel on Slack, this way Slack users can always keep on top of any new questions asked on your website. Example of a question notification in Slack. Our Teamwork Desk integration will enable you to push questions asked on Messenger, Community QA and Live QA as Tickets on your Teamwork Desk product. Note: you will need to use the Desk API of an administrator account on Teamwork Desk. 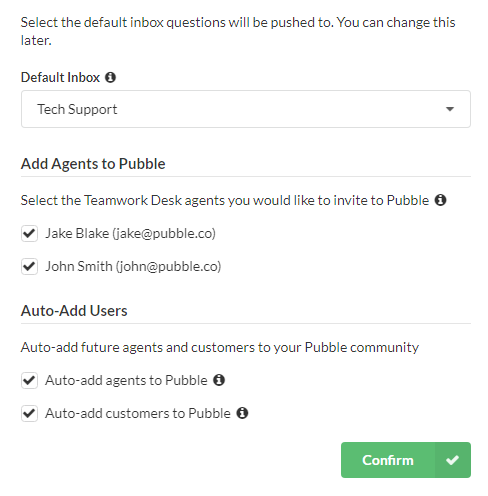 Add Teamwork Desk agents to Pubble: add existing agents to your Pubble community. 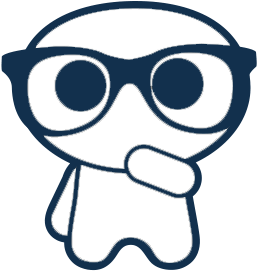 Any agents already in Pubble will not be listed. Once the question is pushed to Teamwork Desk, a transcript of the conversation will be added as a Ticket. Any subsequent replies will also be sent to the ticket. 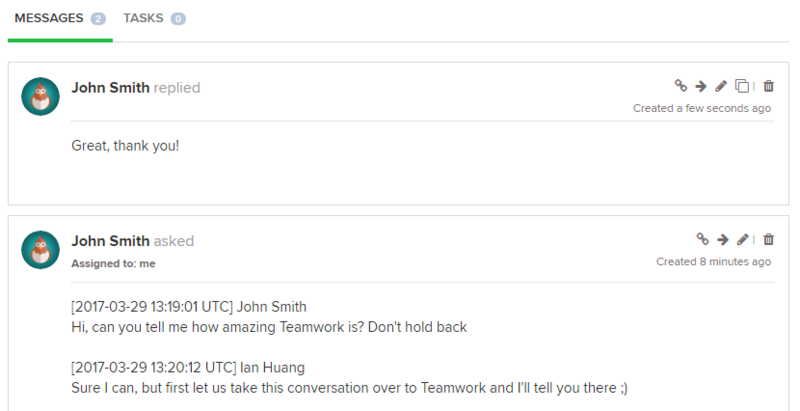 Additionally, any replies made from Teamwork Desk will also be pushed back into the conversation on Pubble keeping the conversation/ticket synchronized between the two systems. 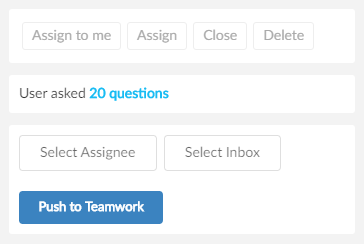 Replies to a question on the Pubble dashboard will only be added to Teamwork Desk if that Pubble team member is also an agent on Teamwork Desk with the same email address. Therefore it is advised that your Pubble team members should also be members on Teamwork Desk. To make this easier you should select to auto-add agents as detailed above. 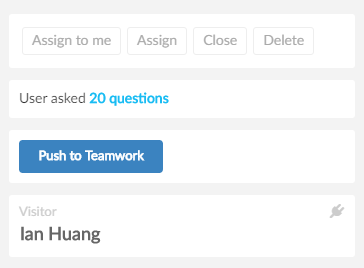 After connecting with Teamwork Desk any new agents you add on Teamwork Desk will also be added as a team member on Pubble. The user will receive an email from Pubble inviting them to activate their account on Pubble.